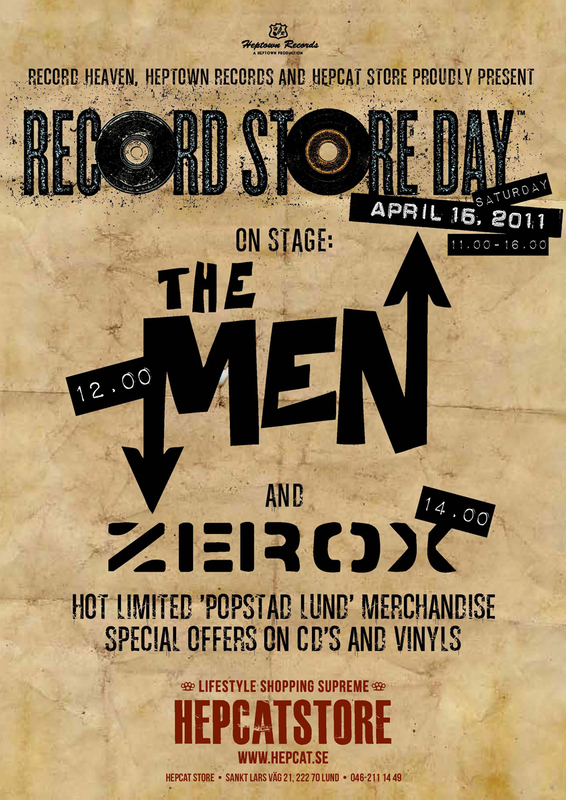 Saturday, April 16th – Record Store Day at HepCat Store, Lund. April 16, Sweden’s record shops get together and participate in the annual international Record Store Day. The aim is to focus on the unique breadth and depth, in both knowledge and product range, which is shared by all enthusiastic record dealers around the country and to celebrate the love of music. There will be live performances, record signings, and selected products at special prices throughout the week. Record Store Day began in 2008 with that Metallica did a live appearance in the record store Rasputin Music in San Francisco. Along with Record Heaven and HepTown Records the HepCat Store will pick up hot vinyl records and CDs and other exciting music things to show that the record market are not stalled completely but flourishes in circles of music lovers and musicians. Live in the store will be The Men (including members from Sinners, Girls, Colubrids, Thee Expression and Varanteatern), together with Zerox (including members from Sinners, Langhorns and Rädsla). So, wants to see that there is a strong cultural life in Lund, this is proof that it simmers in the underworld and it still kicks up! At the same day Hepcat will release some Pop Stad Lund merchandise, including a T-shirt for upcoming exhibition at Kulturen in Lund, Sweden which takes place in the autumn – “25 år som förändrade en stad – och om alla oss som förändrades med den”. It will be neat, nice and well-packaged. The Men is celebrating their 10 years anniversary and has so far released three albums and several singles. The band played two gigs in Australia last January. 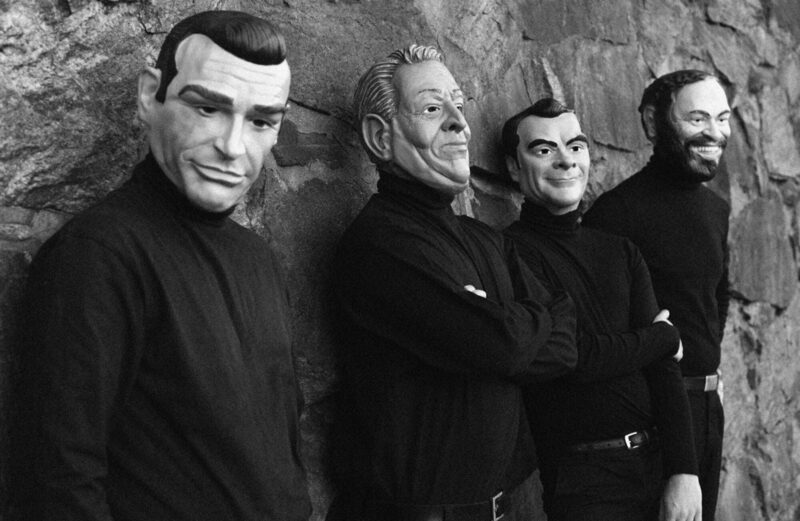 The band’s third album ‘Four Good Men and True “was released in March 2010 by Heptown Records, the record company is housed in the same house as HepCat shop. The Men, Sven Köhler, vocals & harmonica (formerly The Sinners) Ola Främby, bass (formerly The Girls) Olof Wallberg, guitar (former Colubrids, Varanteatern) Niklas Kilenstam, drums (ex-Thee Expression). Zerox is the pick of a large part of Lund’s music scene, serving 77-punk, new wave & power pop for the enlightened elect of the sages.